Soreide Law Goup reminds every applicant if they are contacted by the Florida Board of Bar Examiners requesting an investigative or formal bar hearing, they need to be ready for their hearing. If the Board of Bar Examiners files specifications and you are facing a formal hearing you could be looking at an 8 month to a one year delay to your plans. Soreide Law Group has represented hundreds of applicants in both the investigative and formal hearings before the Florida Board of Bar Examiners. Every bar hearing requires evidence and testimony which is tailored to your specific fact set. Many of these items can be obtained quickly so it will vary case by case if an earlier hearing before the Florida Board of Bar Examiners is right for you. The Board will waive the 15 day rule for submitting your evidence in advance if you are within the 15 day window. In this case, you would be able to bring your exhibits with you to the hearing itself. You must bring 5 copies of anything you intend to submit, one copy for each of the Board members, one for the record, and one for you. If you feel you may not be ready for your Florida Board of Bar Examiners Hearing or if you feel it is short notice, then we would recommend you wait until you are fully prepared and have done all of the work in advance. You should not rush into an earlier hearing. If you are not sure, we recommend you contact an attorney for a consultation. Soreide Law Group is conveniently based in Pompano Beach, Florida and we travel to every hearing location in Florida representing applicants in both investigative and formal hearings before the Florida Board of Bar Examiners. If you have an upcoming investigative hearing or a formal hearing call Soreide Law Group and speak to an experienced license defense attorney at no cost to you at: 1-888-760-6552. I recently represented a former attorney in a formal hearing before the Florida Board of Bar Examiners that years back agreed to a three year suspension of his law license with the right to reapply in 3 years. One would think that given the Supreme Court of Florida allowed the voluntary relinquishment of the license with the right to reapply would mean that the in the eyes of the Florida Board of Bar Examiners the attorney would NOT be considered disbarred. To what will surely be to most applicants surprise is the Board of Bar Examiners is treating anyone that relinquishes their law license in the face of disciplinary action even with the right to reapply as disbarred attorneys. Reapplying to the Florida Bar will likely be more difficult from now on. The Florida Board of Bar Examiners uses the Florida Supreme Court Case of Hale v. Supreme Court of Florida at The Florida Bar v. Hale, 762 So. 2nd 515 (Fla. 2000) to hold that, “a disciplinary resignation is tantamount to disbarment.” So why is this a problem for Applicants? The Supreme Court of Florida has held that disbarment alone is disqualifying for admission to the Bar unless an applicant can show clear and convincing evidence of rehabilitation. The applicants have to establish rehabilitation by clear and convincing evidence as explained in Florida Bar Rule 3-13. The standard clear and convincing is far from clear to Applicants as to how much community service is needed. Recently the Supreme Court in Florida Board of Bar Examiners in RE: Ferguson overturned the Board’s decision to readmit the formerly disbarred attorney after thousands of hours of community service completed by the Applicant and instead deferred judgment and allowed him to reapply in two years. The Board will weigh the seriousness of the offenses in determining what is enough evidence of rehabilitation but Applicant’s who resign in the face of disciplinary action should know going in that they are now viewed as disbarred attorneys. 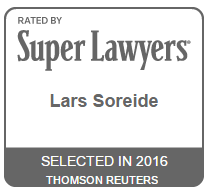 If you have character and fitness issues and are having a formal or investigative hearing before the Florida Board of Bar Examiners call attorney Lars Soreide, Esq., for a free consultation. We travel to all 6 hearing locations of the Board of Bar Examiners and offer flat fees and payment plans. Call today for your free Florida Bar Character hearing consultation at (888) 760-6552. The Florida Board of Bar Examiners has set hearings dates for bar applicants with investigative and formal hearings on May 10 -12, 2018, in Coral Gables, Florida, and July 13 -14, 2018, in Jacksonville, Florida. If contacted by the Florida Board of Bar Examiners requesting an investigative or formal bar hearing, every Applicant should ask themselves if they are ready. There is a natural inclination to just want to get it over with, but if the Board of Bar Examiners files specifications and you now are facing a formal hearing you could be looking at oftentimes an 8 month to a year delay to your file. Soreide Law Group is representing Applicants in the upcoming Coral Gables and Jacksonville hearings before the Florida Board of Bar Examiners. The Board does allow the 15 day rule to be waived to submit your evidence in advance if they notice you are within the 15 day window. In this case, you can bring your exhibits with you to the hearing itself. Make sure you bring with you 5 copies of anything you intend to submit, which will be one copy for each Board member, one for the record, and one for you. If you are not sure if you are ready for your Florida Board of Bar Examiners Hearing on short notice, then you should wait. Only if you are fully prepared and have done all of the work in advance should you jump at the opportunity to rush into an earlier hearing. If you are not sure you should contact an attorney for a consultation. Soreide Law Group has represented hundreds of Applicants before the Florida Board of Bar Examiners and can help you navigate the tough decision of, “Am I ready?” No two hearings are the same and each hearing requires evidence and testimony which is tailored to your specific fact set. Many of these items can be obtained quickly so it will vary case by case if an earlier hearing before the Florida Board of Bar Examiners is right for you. Soreide Law Group travels to every hearing location in Florida to represent Applicants. We are conveniently based in Pompano Beach, Florida. If you have an investigative hearing or a formal hearing before the Florida Board of Bar Examiners call Soreide Law Group and speak to an experienced license defense attorney at no cost to you, at (888) 760-6552. Florida Bar Character and Fitness Hearing – How Should I Defend Myself in a Formal Hearing? So the investigative character and fitness hearing before the Florida Board of Bar Examiners did not go as planned. You have now been served with Specifications and have to go to a “Formal Hearing”. You may ask yourself wasn’t I just at a formal hearing and what is the difference between a Formal and Investigative Hearing. An Investigative Hearing before the Florida Board of Bar Examiners is merely an investigation even though they ask you questions under oath and are creating a transcript of the meeting. Although an investigative hearing can feel pretty formal in form and function, there are very few rules of evidence and limited objections can be made at the investigative hearing. The Formal Hearing however, has a five member Panel and there is actually a Board of Bar Examiners defense attorney there making arguments against you to keep you from being admitted. The 5 member, as opposed to 3 member panel which you already have seen, is far more passive and they let the lawyers present their respective cases. At the Formal Hearing there are opening arguments from both sides, witnesses called, rebuttal witnesses and closing statements. Evidentiary objections are much more common and speaking objections to the form of questions are common. With that background the question typically to my law firm, Soreide Law Group, is what do we do and how do we defend this? You must and I mean MUST raise the affirmative defense of rehabilitation or you waive it. That means you can’t offer and evidence or mitigation or character witnesses explaining how you have changed and the events at issue are all “in the past”. This is an acceptable defense but I find all too frequently, clients (usually speaking to other counsel) are all too eager to fall on their own sword and just go in with hat in hand and beg for forgiveness. Sometimes this is necessary but that shouldn’t be your first option. What Do I Do If I Find Myself In a Formal Bar Hearing? Sometimes the investigative hearing panel gets it wrong and you shouldn’t be there. There have been multiple Formal Hearings where we straight out deny the specifications (and explain why as is required) and have actually had the Board of Bar Examiners agree with us and rule in our favor. What is really important to note after reading this is don’t go in thinking the Panel is just there to punish you because this is a new Panel (the first 3 Board Members are not allowed to sit on the Panel again) and not all Board members agree. A well thought out defense might actually be in your best interest as long as it is factual and presented respectfully that may be your best shot for not having a denial or a lengthy delay to getting your Bar Card. More importantly talk to experience legal counsel. The hearings rotate between 6-8 geographic locations so look to hire someone that is experienced because most anyone you hire including you is probably going to have to travel. If anyone has any questions about this article or a character and fitness hearing before the Florida Board of Bar Examiners call (888) 760-6552 and speak with Florida Board of Bar Examiners Defense Attorney Lars Soreide, Esq. https://www.floridabarhearing.com/wp-content/uploads/2013/04/bg-8-e1501882495414.jpg 333 500 Editor https://www.floridabarhearing.com/wp-content/uploads/2015/10/soreide-logo-300x183.png Editor2017-08-04 21:47:112017-08-04 21:48:08Florida Bar Character and Fitness Hearing – How Should I Defend Myself in a Formal Hearing? Soreide Law Group receives many questions from applicants to the Florida Bar. Below you can find a few questions that may answer some of your bar hearing inquiries. Q1: I was arrested (fill in any number) years ago and it was expunged. My criminal defense lawyer tells me there is no way anyone can find out, it’s like it never happened, if I don’t disclose will the Bar find out? A: The answer is YES, they will find out. Setting aside the ridiculous nature of the question, assume you get caught the consequences may be irreparable. Think logically for a second and ask yourself what you think the Bar is more concerned with: a) your silly juvenile crime from years back, or b) as someone who now has been through law school and is seeking a law license decided to actively conceal material information from the Florida Board of Bar Examiners. Q2: I have a lot of debts and unpaid bills what can I do about it and how will the Florida Board of Bar Examiners react? A: Don’t have a “today problem” is what I tell all my Applicants. After reviewing the debts most of my clients, most are so small and inconsequential i.e. unpaid water bill $30 just pay it off. If you can’t afford to pay off a debt negotiate a lesser payment or enter into a payment plan. The Board of Bar Examiners just wants to see that you are not turning your back on your creditors. It may feel like the Board is acting as a debt collection service but you are asking for a license that will allow you to open up and manage clients funds through a trust account. That is a huge responsibility and if you can’t manage your own finances the Board will not want you managing your clients. Q3: If the investigative hearing doesn’t go well what happens next? First and foremost make sure you prepare for the investigative hearing as if it is the formal hearing and do everything you can to impress. Nothing wrong with being over prepared for the investigative hearing because if they don’t admit you they typically advance you to a formal hearing which is a full blown trial with a Board prosecutor making arguments to keep you out of the Bar. There are in some limited circumstances proposed settlements that in lieu of filing specifications the Board may ask you for community service hours or a lengthy brief. My advice is do all that in advance to not further delay the process and impress on the Board that you take this process seriously and are willing to do whatever it takes. Thank you for taking the time to read this. Nothing in this post should be construed as legal advice. If you want legal advice call (954) 760-6552. Honesty is always the best policy when applying to the Bar. Character and fitness play a significant roll in being admitted to the Florida Bar. In order to become a fully licensed member of Florida’s Bar, law school graduates must have a clear character and fitness inquiry. This step is often underestimated, but can make all the difference in whether or not a graduate will be admitted. Bar applicants must possess good character and show clear and convincing evidence that they possess the requisite degree of good character to sit for the bar exam and be admitted to the Florida Bar. During the process of admittance, applicants fill out a lengthy questionnaire with personal information about their past such as job losses, arrests, academic misconduct, traffic tickets, bankruptcies, and in some cases mental health history, to name a few. Even if the applicant might consider something “minor,” it could become a major issue in the admission process. It is most important to disclose all information asked, and honestly. In some jurisdictions, applicants with a criminal history, academic misconduct or financial issues, may not be allowed to take the bar exam. In other cases, they may be able to sit for the bar but then must attend a hearing concerning their fitness. If you’ve been called before the Florida Bar for an Investigative or Formal Hearing, Soreide Law Group will represent you at the hearing and help you navigate through the process. It can be very daunting and your future is on the line. Soreide Law Group represents those individuals seeking admittance to the Florida Bar, and existing lawyers, for both Investigative Hearings and Formal Hearings in front of the Florida Bar. Call for a no-cost consultation with an experienced Florida Bar Defense Attorney if you have an upcoming Investigative or Formal Hearing with the Florida Bar. We travel to all locations throughout Florida to appear before the Board of Bar Examiners. Call Soreide Law Group at: 888-760-6552. I’ve known for the last seven years that the Florida Board of Bar Examiners has been checking up on my client’s social media profiles but I never actually had proof. UNTIL NOW! The Florida Board of Bar Examiners Checks Social Media. While preparing a client for the upcoming Tampa hearings she sent me and email from her linked in account that “Bar Counsel for the Florida Bar” had visited and navigated her linkedin page. Not everyone pays Linkedin for a premium profile where you can see who visited your page but luckily my client does. The Board has never hid the fact that they check social media and I think they are wise to check it but for the most part I always felt as if most of my clients didn’t believe me when I explained just how far they would go to “catch you”. Linkedin is essentially an online resume so if it is inconsistent with the resume or job opportunities you represented to the law school and to the Florida Bar it could create a serious candor issue for the applicant. It is perfectly acceptable to have a few crazy fun pictures posted but be mindful of what the Board is looking at your profile for. For instance if you have had multiple DUI’s in the past and now you are claiming to be sober and to abstain from alcohol don’t be photographed with a drink in your hand (any drink) it is just common sense. As far as I know they can’t circumnavigate the privacy settings on facebook. They could technically subpoena the information so the best policy is don’t post anything on the internet anywhere that you don’t want the Florida Board of Bar Examiners to see. For more information on how to better be prepared for your upcoming hearing before the Florida Board of Bar Examiners call attorney Lars Soreide at (954) 760-6552. The Florida Board of Bar Examiners announced that they will set special set hearings for applicants with investigative and formal hearings on April 25th and April 26th in Fort Lauderdale and West Palm Beach. If approached by the Board of Bar Examiners to take an earlier hearing every Applicant should be asking am I ready. There is a natural inclination to just want to get it over with but if the Board of Bar Examiners files specifications and you now are facing a formal hearing you could be looking at an 8 month to a year extra delay to your file. We are representing Applicants in the upcoming Fort Lauderdale and West Palm Beach special set hearings before the Florida Board of Bar Examiners character and fitness hearings. Upcoming Florida Bar Character and Fitness Hearings Fort Lauderdale and West Palm Beach are April 25th and April 26th. They do allow the 15 day rule to be waived to submit your evidence in advance if they notice you within the 15 day window. In this case you can just bring your exhibits with you to the hearing itself. Make sure you bring with you 5 copies of anything you intend to submit which will be one copy for each Board member, one for the record and one for you. If you are not sure if you are ready for your Florida Board of Bar Examiners Character and Fitness Hearing on a moments notices than you should wait. Only if you are fully prepared and done all the leg work in advance should you jump at the opportunity to rush into an earlier hearing. If you are not sure you should contact an attorney for a consultation. Soreide Law Group has represented hundreds of Applicants before the Florida Board of Bar Examiners and can help you navigate the tough decision of am I ready or not? No two hearings are the same and each hearing requires evidence and testimony tailored to your specific fact set. Many of these items can be obtained quickly so it will vary case by case if an earlier hearing before the Florida Board of Bar Examiners is right for you. Our firm travels to every hearing location to represent Applicants but we are located in Pompano Beach Florida which close to the upcoming Fort Lauderale and West Palm Beach hearings. Character witnesses are sometimes called to testify at character and fitness hearings before the Florida Board of Bar Examiners. At the investigative level it is far less common to call a live witness. More often than not character testimony is offered only in the form of letter support or affidavit at the investigative level. As an attorney that represents Applicants at these hearings I would only recommend calling a live witness if one is needed to refute compelling bad character evidence against an Applicant. At meetings with the Board they have to see multiple Applicants in a day and don’t want to get bogged down with multiple live character witnesses and have the right to refuse their testimony. That is why at the Investigative hearing level it is best to just offer the letter support instead of the live person. At Formal Hearings, assuming the Board advanced you to the next level and didn’t clear you at the investigative hearing, I feel it is imperative to call live character witnesses. At the formal hearing it is almost expected that you will be able to offer some compelling character testimony from someone that may influence the Board. A friend or family member is not compelling to the Board since they would recommend you no matter what your past looks like. Try to focus on past employers or former co-workers that are Florida Bar members when deciding who to offer to the Board as your witness. Also think quality over quantity. One compelling authority the Board would listen too is better than three of your buddies you graduated law school from. If you have an investigative character and fitness hearing or a formal character and fitness hearing before the Florida Board of Bar Examiners call an attorney at (888) 760-6552 for a free consultation.